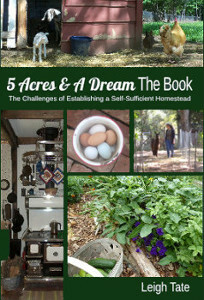 5 Acres & A Dream: Dining Room Floor: Getting There! Dining Room Floor: Getting There! The hardwood floor is down. I can't believe we've finally gotten to this point! We put down tongue and groove oak, 3.25 inches wide (real width), 3/4 inch thick. The first course was face-nailed next to the baseboard where the nails will be covered with quarter-round trim. This meant holes had to be drilled and the nails hammered by hand. The string served as a guide to get the first couple of rows in evenly. After that we just kept going. We did pretty well because the difference was only 1/8 inch off by the time we got to the other side of the room. We rented a pneumatic nailer for this job. It is hooked up to an air compressor, but the nails are popped in manually with a mallet. One side of the mallet is used to tap the board into place (as above), the other is used to hit the "trigger." I've never helped put down an hardwood floor before, so I was surprised at the nails used (photo left). They are shot into the tongue of each row and so are hidden by the groove of the adjacent row of boards. Our snoopervisor was not at all happy with all the noise (compressor roaring and nailer popping loudly). After complaining about it to no avail, he eventually consoled himself with a nice long super-sound sleep. It was slow going at first, but eventually we developed a rhythm. I set the succeeding rows in place while Dan nailed. 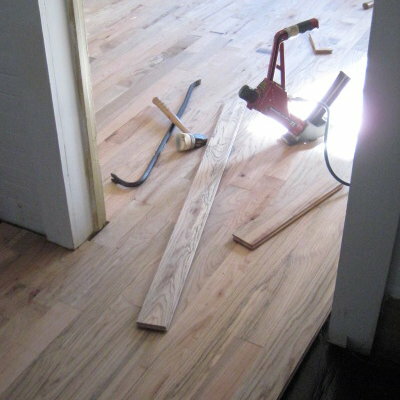 Since I had pre-laid the floor, very little sawing was necessary and it went fairly quickly. The doorway between the dining room and hall once had a door, but it was gone before we got here. We plan to leave it open, so no threshold is necessary here. It ended up taking us two days to do the dining room and front portion of the hall. The blue ribbon dangling from the dining room light, BTW, was put there by Dan because I kept hitting my head on it when I was laying out the floor. I thought is was a silly idea, but I never hit my head on it again, so it worked! As you can see, we have a way to go before we can declare it "done!" Hopefully we can do the sanding and staining next weekend. So, which are more sore, your knees or your back? 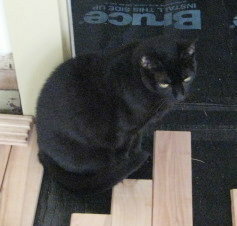 Our cat, Neil, complained about all the noise, too, when we put the hardwood floor in my studio this past summer, then he just hid. Looks great!! What color are you staining it? I am just glad we don't have any noisy renovations just now - as the occasionally visiting cat seems to have moved in permanently! are you really going to varnish the timber? I did that once and I just hated the smell:(( over here, we polished all the timber floors with beeswax - no ugly smells and when scratches appear, we'll just sand and re-polish. Benita, actually neither :) I think Dan is the one with the sore back as he did all the bending over and nailing. Bettina, we're going to finish the floor with polyurethane rather than varnish. It's a standard finish for hardwood floors over here and has pretty much replaced varnish as a floor finish. We haven't researched these yet, but I know that the water based urethanes have a mild odor, but I suppose a lot of that is highly subjective! Its to bad you don't live closer. We have a nail gun for wood floor. I love using it and thought it was great fun! Your floor looks so good I love the oak! Water based poly, still stinks. 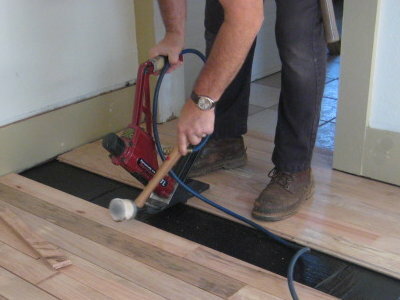 Around about the second coat you will understand why prefinished flooring is so popular. :-) But like all things that require lots of sweat and work, you will be happy you did it yourselves. They have special mop rollers and handles that make it easier. Don't do your coats on a wet day and make sure the room can be heated so your coats cure well. Good luck with Snooper management! Looks great! I know its not finished but what a difference. I hope you have a mini-vacation planned after all this work you both deserve it. Julie, I wish you'd lived closer too. As it was we rented that plus the compressor over the weekend so it was a little pricey. Still beat doing it by hand though. Renee, our Snoopervisor is fortunately very tolerant of mistakes. Unless they affect Himself! Theresa, we're in the process of researching finishes. I think the one thing I have "against" the oil based urethanes is that they yellow with age. I'd like to keep the color we choose for the stain! I understand the water based ones are more expensive, but have faster drying time. Dan is more familiar with finishes than I am, so I'll trust his judgment in the end. Deep End, actually we're already planning the next project! Robin, I know what you mean! Even though it isn't finished I just love looking at it. It's a relief to have this much done. Your floors are beautiful!!!! We did our kitchen and dinning area. Ok I take that back we had them installed and love them. 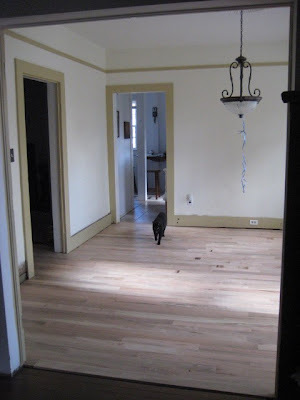 We're were torn between the laminated type or real and so happy we chose the real wood floors. Add so much warmth to a room. Thanks Barb. 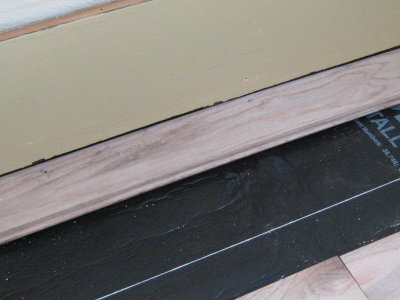 For awhile I thought we'd end up with laminate floors too, because they are more affordable than real hardwood. It was a real blessing to get a good deal like we did. I can hardly wait to get them finished and get my dining room furniture in there! Boy do I wish I had an nth of the skills that you two possess. And the projects just keep coming! 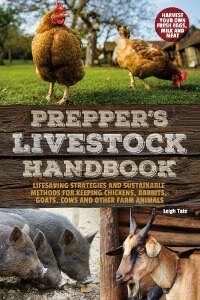 I just started following your blog,and I love it. I had a question about your wood flooring. How much did it cost and where did you buy it from? At Lowes, the wood flooring from what I saw were already finished, so I thought it would be cheaper to buy it unfinished. Hello Michelle and welcome! 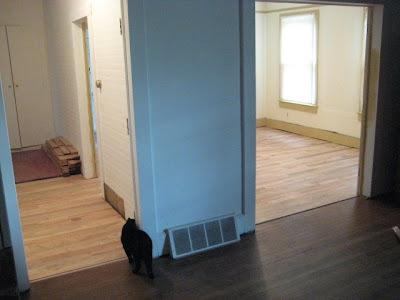 We found the flooring on Craigslist, from a local man who sold and installed flooring. If I'm remembering and calculating correctly, we got it for about $1.79 per square foot, delivered. We looked at Lowes too, but they were higher. At the time, they did have unfinished hardwood flooring, though they only had 2.5 inch width and we got 3.5. 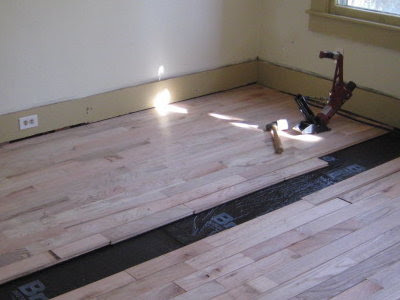 Of course you have to take into account having to finish the floor: the cost of stain and finish, plus renting a sander unless you have access to one. Plus the time. We finished ours in winter too, so it took forever to dry. We can look back now and laugh, but it was trying at the time. :) I hope that helps. We are really happy with ours now. "You Can Buy As Many Books As You Want"